In 1799, the Prussian naturalist, geographer, and explorer Alexander von Humboldt left Europe for the expedition of a lifetime. The nearly four years he spent in South America shaped how he thought about nature and influences how many people think about nature today. 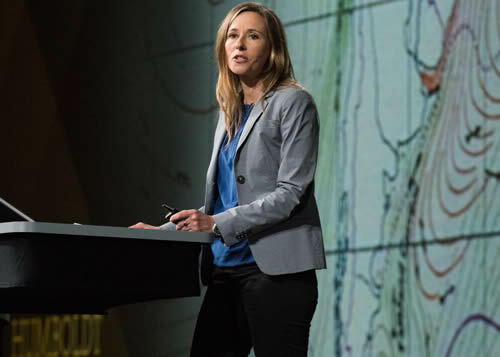 Andrea Wulf, who wrote The Invention of Nature: Alexander von Humboldt's New World, took the audience at the 2016 Esri User Conference back in time to help them get a sense for Humboldt's discoveries and contributions to science and why GIS is truly Humboldtian. Read the article. Historian and author Andrea Wulf shares stories about Alexander von Humboldt during the Esri User Conference. 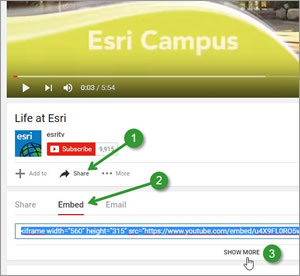 Learn how to set YouTube player parameters when you embed a video in Esri Story Maps. You can have control over the various YouTube player options, including autoplay, looping, and starting the video at a specific time. Read the tip. Meet the winners of the 2016 Esri Storytelling with Maps competition. They include Lauren Medsker, creator of a unique Esri Story Map Journal that focused on the garden and water conservation projects, membership, and finances of the Pennsylvania Horticultural Society. Read the article. Get your students interested in the world around them using ArcGIS Earth, a free desktop-based, interactive globe for visualizing the earth in 3D. They can explore national parks, oceans, earthquake data, and more. Read the article. Take the training. 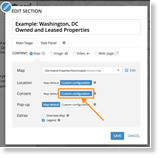 Creating a single web map that can be used in multiple sections or entries of your Esri Story Map Journal or Story Map Series apps might be smarter than building multiple maps. Read the article. Charles "Hobie" Perry and Christopher Oswalt from the US Forest Service explain how their organization collects and shares authoritative data about the nation's forests and creates applications to help people better understand the forests. Watch the video. Ian M. Smith and Lauren McArtney show how the Auckland Council uses web GIS in its quest to become the "World's Most Livable City." Watch the video. With the number of Zika virus cases mounting, take a closer look at this disease and its geographic reach in this Esri Story Map Journal. See the story map. The Missouri Department of Transportation (MoDOT) took its ArcGIS software, already used for tasks such as tracking the locations of accidents, and started to use it to create road maps. Read the article in GOVERNING. Lisa Berry of Esri demonstrates how to add demographics to your existing geographic datasets in ArcGIS Online. "Whether you have points, tables, lines, or polygons [on your map], demographic data can add value to your analyses," Berry said. Read her tip. Design maps with the aesthetic you want using the ArcGIS Maps for Adobe Creative Cloud app. Design and communication professionals can access thousands of data-driven maps inside Adobe Illustrator and Photoshop. Download the beta. Marjean Pobuda, a product engineer at Esri, demonstrates how to bring the statistical programming language R into ArcGIS and how both can be used to do what she calls a "thorough analysis." Read the blog. Watch the video. Coordinate and keep track of work you complete using Esri's new Workforce for ArcGIS. You can create, assign, and keep track of new and finished work projects. Learn more. Learn to put geodesign methods and technologies to work to shape smarter, safer, and more resilient communities, European style. Intercontinental Geodesign is the theme of this year's Geodesign Summit Europe, slated for November 1–2, 2016, in Delft, the Netherlands. Learn more and register. Esri's Green Infrastructure map and tools provide the perfect starting point for creating smarter, more sustainable communities with cleaner air, safer drinking water, and a healthier habitat for both humans and animals. Explore your community's green infrastructure assets. Data Appliance for ArcGIS plugs right into your internal, secure network to deliver preloaded imagery, basemaps, and reference layers. Order today. A digital map created with Esri ArcGIS points Paris residents and tourists to more than 400 public toilettes in the City of Light. Pop-ups in the map include each restroom's address and, in some cases, the hours of operation. View the map.